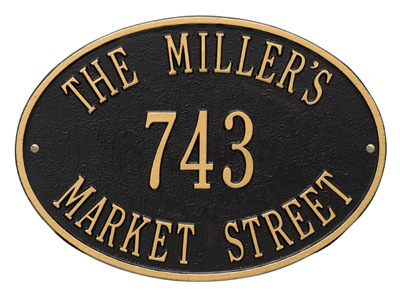 The MailboxWorks carries quite a unique variety of round and oval cast aluminum address plaques by such distinguished manufacturers as QualArc, Gaines, Stone Mill, and Whitehall. 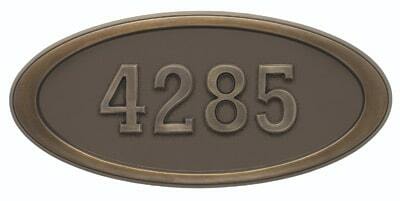 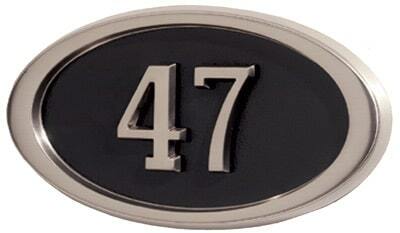 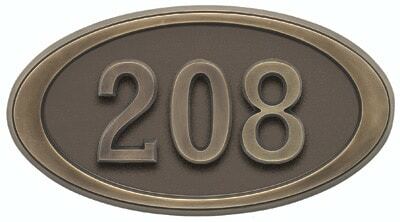 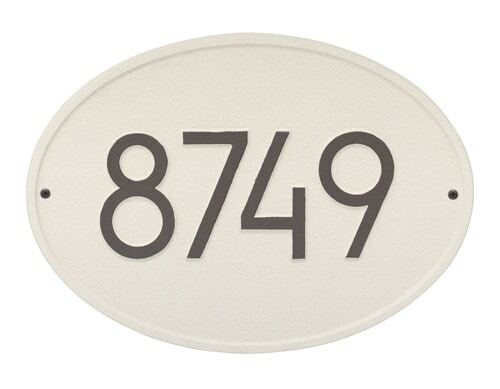 We even carry oval slate address plaques by Stone Mill. 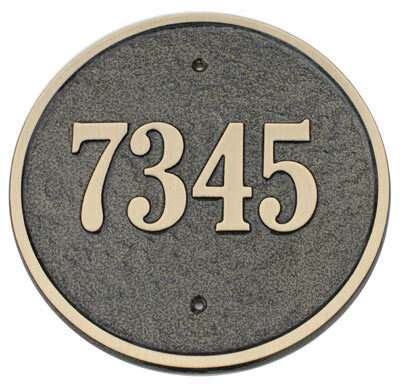 Buy round address plaques and oval address plaques in brass, antique brass, satin nickel, ceramic, crushed stone, granite, artisan metal, slate, or carved stone. 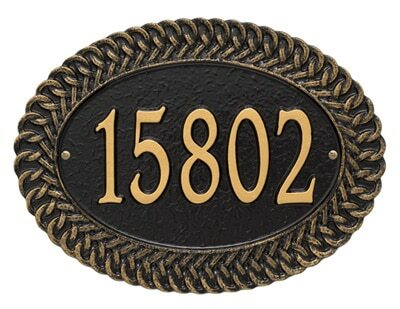 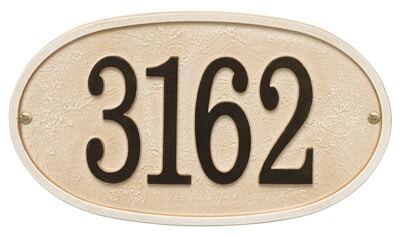 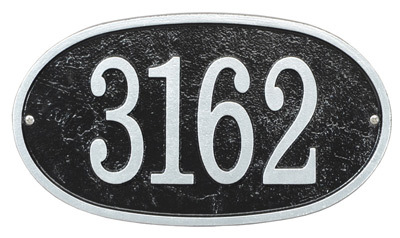 You can also purchase unique ceramic and cast aluminum address plaque designs including John Deere, rose, clover, grapes, ivy, pansy, and morning glory, among others. 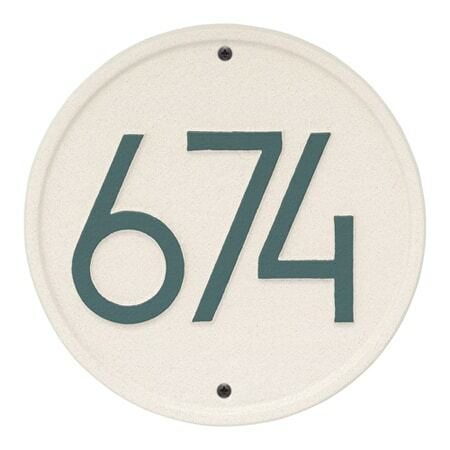 Whitehall round address plaques are available in small, medium and large sizes while Whitehall oval address plaques are available in both horizontal and vertical designs. 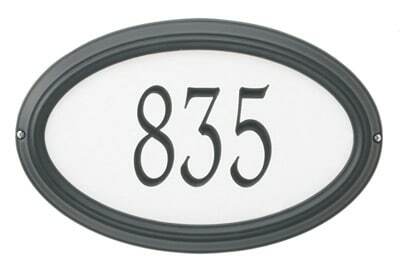 Available in all sizes, Gaines oval address plaques offer simplicity that compliments almost any home. 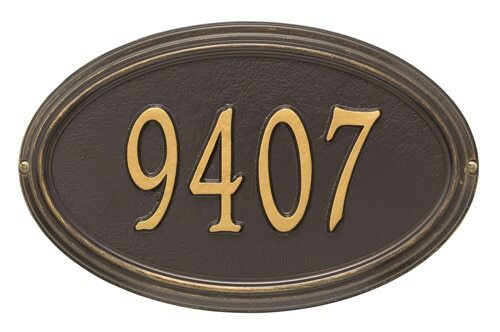 These Gaines address plaques are made from high quality die cast aluminum and offer multiple finishes like bronze and satin nickel. 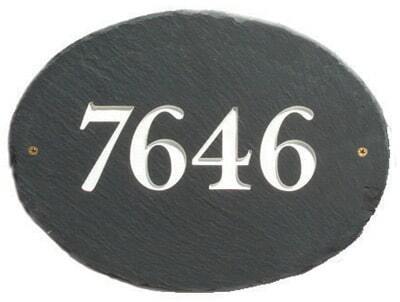 All Stone Mill oval address plaques are made of newly quarried US slate and are hand cut to size. 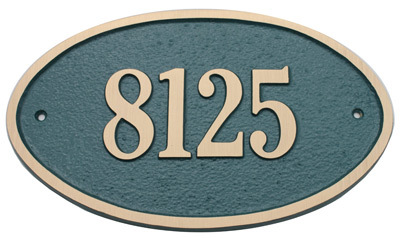 The high end solid granite QualArc oval address plaque (that can hold up to three lines of text) comes in 7 different colors and 4 lettering options. 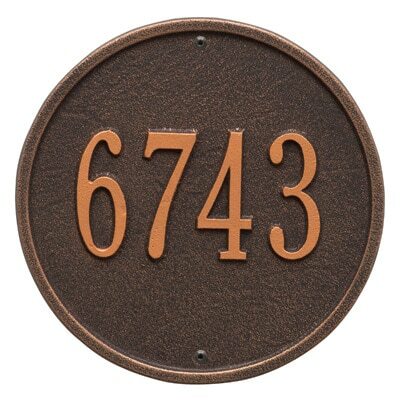 There’s also the DIY QualArc Ridgestone oval address plaque kit made from real crushed stone. 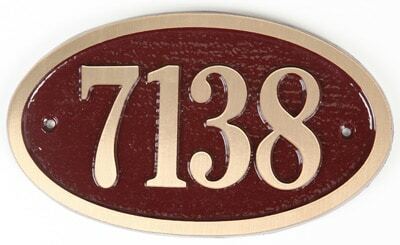 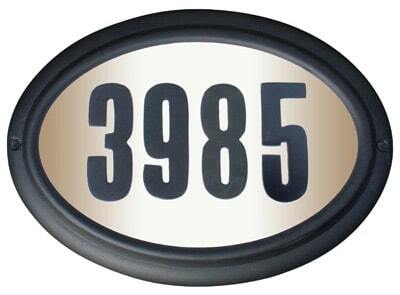 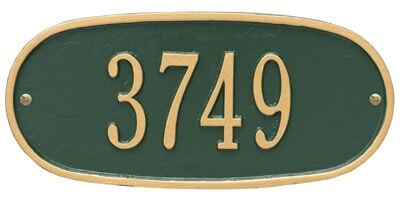 Think outside the box with a personalized round or oval address plaque for your Grill, Deck, or Garage. 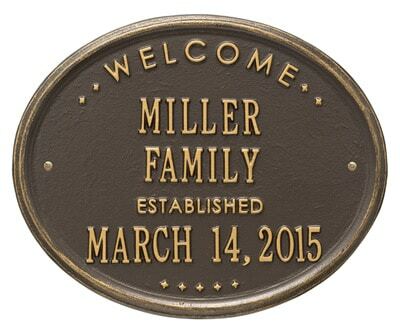 Or order a personalized round address plaque with your family name (or other sentiment) or a round wall plaque with your date founded. 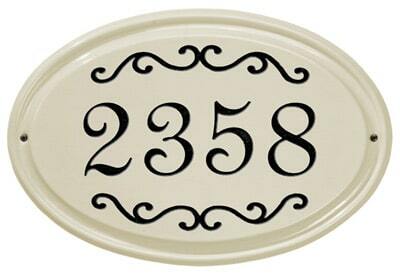 Most oval and round lawn address plaques come with installation hardware and the option to add a solar lamp for nighttime visibility. 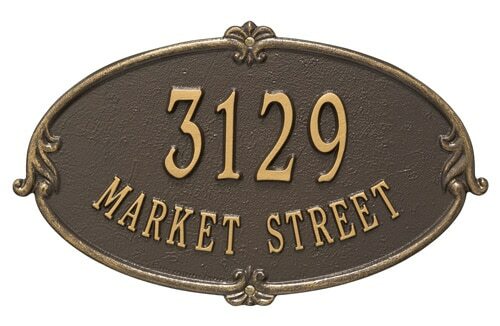 For more information about ordering any of these round and oval MailboxWorks’ address plaques please use our “online chat” feature or call us Toll Free at 1-866-717-4943.